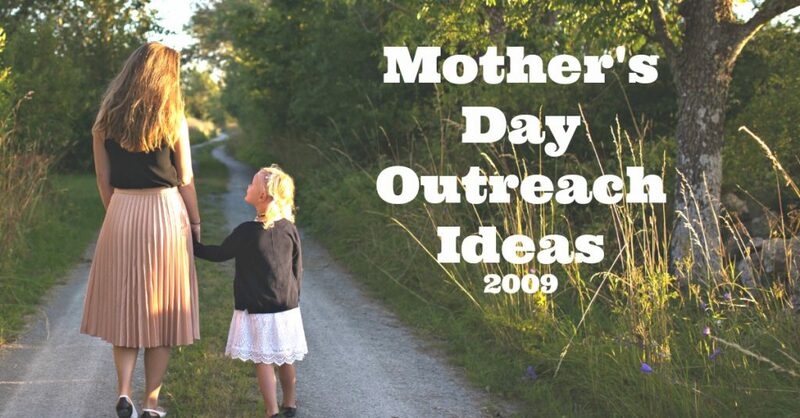 Mother’s Day 2009 may be a time to conduct special weekend event outreaches. I know several pastors that will give a sermon related to motherhood. But it’s also an opportunity for churches to engage their neighborhood. Some links have since broken. Mothers Day oil-change Outreach – free oil changes for moms in a neighborhood daycare. Mother’s Day Baby Supply Drive — Gathering baby related supplies for a local women’s home and families in need. Mother’s Day Outreach for Refugees – Home visit with gift baskets to new immigrants / refugees in the neighborhood. Passing out Mother’s Day cards at local nursing home by youth group. Mother’s Day Brunches, banquets, and other celebrations around a meal. Mother’s Day Baby shower at the hospital for new infants born that day. As you do these things, you will attract this group of people into your church and help them feel welcomed so that they will return. . . .
As you move through this time, we encourage you to be aware of the potential and opportunity for changing lives. Over the next few weeks, we will be sharing more thoughts and ideas on preparing for. . . .Mother’s Day. Please join us and let us know how things are going and what you see God do through you this . . . Mother’s Day season. Share with us some of your mother’s day outreach plans. Use the comment form below. We have a special speaker for Mother’s Day service preceeded by A Mother’s Day Breakfast in our multi-putpose room. Provided printed and online invitations to members to invite unchurched mothers and their children to church on Mother’s Day.